Southern Oasis Film Festival will be held in Knoxville, TN at the new little Indie Cinema House, “Central Cinema” in a collaborative effort to encourage indie filmmakers both local and from all over to showcase their work! We have low entry-fees and guarantee to watch every single submission! 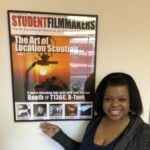 Southern Oasis Film Festival will be held Jan 25-26 in Knoxville, TN showing an array of short films, student films, competition films and student film! For more information, visit https://www.southernoasisff.com/.